Summary: The demand for commercial and industrial (C&I) loans is alive and well it seems. Make sure your lending team is ready to pounce. Despite the fact that research from the University of Notre Dame finds telling the truth improves your health, humans still lie and start doing so as early as age two. 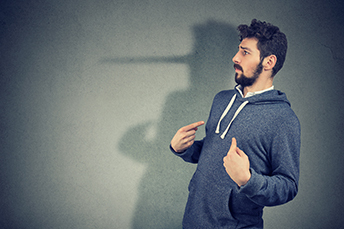 Other research finds Americans lie about 11x each week on average, and people have about a 50/50 chance of catching a lie, when they see it. Finally, additional research seems to indicate one of the best ways to catch a liar is to listen for negative words, over positive ones, and for exclusionary words, which they often use. Also, keep asking "why" if you aren't sure, because liars subconsciously have difficulty answering that question, when asked over and over. Clearly, with humans, it can be a slippery slope from bending the truth to lying. In banking circles right now, the demand for commercial real estate (CRE) loans seems to be slowing, which is a slippery slope of another sort. There is good news though - the demand for commercial and industrial (C&I) loans is alive and well, it seems. As delinquency rates on commercial properties begin to tick up perhaps in the future, some banks seem to be tightening standards or even holding off on originating some CRE deals possibly. Interestingly, while this is happening in the CRE space, the evidence of a pick-up in the C&I sector appears to be mounting. A Goldman Sachs analyst says that C&I loan growth will increase this year, judging by banks' sizable backlogs. In addition, FIG Partners found that banks with < $20B in assets posted a 9.2% increase in loan balances on average - mostly due to a boost in C&I lending. Taking a look at delinquency rates as far back as 2008, we find that historic delinquency rates for C&I loans are generally lower than for CRE loans (excluding the bump in 2016 and 2017, largely driven by oil and energy). Given this C&I momentum, make sure your lending team is ready to pounce, as you seek to capture more customers. The key is to continue to build strong relationships, so you know exactly what your business customers need and how their business is doing. Community banks are great at that and while some may be a tad rusty on C&I lending, getting up to speed can add some options perhaps. As our final point of this discussion, we look to a JPMorgan Chase survey. It finds demand for C&I loans by small and midsize companies should continue in 2019, and 91% of those surveyed said they plan to continue or boost their investment expenditures. Further, 70% have a positive outlook on their local economies and 73% have this positive outlook on the national economy. Community banks are obviously front and center when it comes to business customers. That said, it is a tough market out there, so good luck to everyone. Alternatively, if your bank just needs a bit of help with diversification and/or loan growth, our national C&I loan program may be an option for you. Find out more here or contact us today. Proofpoint research finds 83% of businesses underwent a phishing attack last year and 64% of security professionals encountered spear phishing threats. SF Fed research finds that the tight job market is unlikely to generate big wage increases. While the unemployment rate is expected to fall to 3.5% this year and wage gains have been steady, albeit small, geographic mobility away from tight markets could be muting wage pressures, according to the SF Fed findings. The CEO of PayPal projects digital payments may eventually reach $100T.